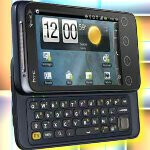 Being one of the very first Android smartphones to launch domestically this year, the HTC EVO Shift 4G complemented Sprint’s lineup by offering a compact version of the EVO 4G with a sliding landscape keyboard. Getting its time in the sun, handset owners are in more a surprise come Monday, June 20 – that’s because it’s getting Gingerbread on that day. Much like most things, the over-the-air update will be rolled out in various waves so that the process goes smoothly. However, if you simply can’t wait for that notification to pop up, you can always initiate that usual manual process yourself come June 20th. In addition to all the new stuff included with Gingerbread, the update will also pack along the Swype keyboard to give users an alternative way of inputting text. With the date only a few days away from now, we’re sure that HTC EVO Shift 4G owners are going to be excited about its arrival – splashing more fun their way of course. Right now, it is worth getting; but come November, there might be better, more advanced devices out with full keyboard. It tries to load the link, but then says that there's and error when trying to go to the page. Odd. Well, do a search on the phone from sprint.com. The info is still there and checking for a software update gave me the new version. I just made my phone check for updates and I am now downloading the update. It's almost 250Mb! I hope that it is a really good working build because I'd hate to have to go to Sprint to get it returned to 2.2. It runs great! Has Sense 2.1, Fastboot, and quite a few updates/changes. This is making me want to jump ship from Verizon to Sprint. Verizon seriously needs to release the HTC Merge or add more phones with physical kybds. And no I am not talking about another Motorla phone (Droid3) with a crappy physical kybd. Even if it does have 5 rows. It's on US Cellular and Alltel, which Alltel is an off branch of Verizon. So I got it upgraded . I was hoping it would have the new HTC sense... Aka lock screen.. will we get it..or do I have to root in order to run latest sense!!???? From what I've heard, the new Sense 3.0 (found on the Sensation and Evo 3D) is optimized for dual-core processors and will not run on single core-processors; so I guess that we have the most up-to-date Sense will get. then why does the htc flyer have the new lockscreen? The update works fine. I like my EVO Shift 4G better than my wife's Epic 4G. Keyboard people will be well satisfied.